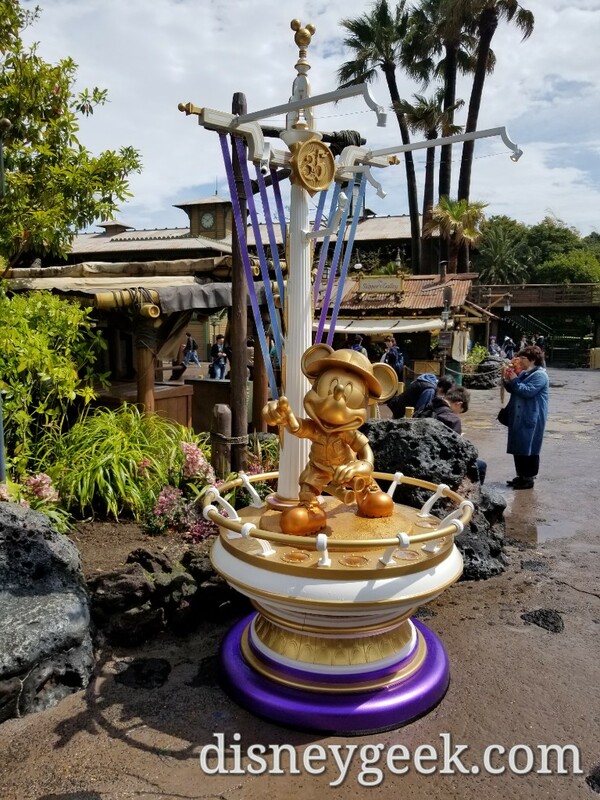 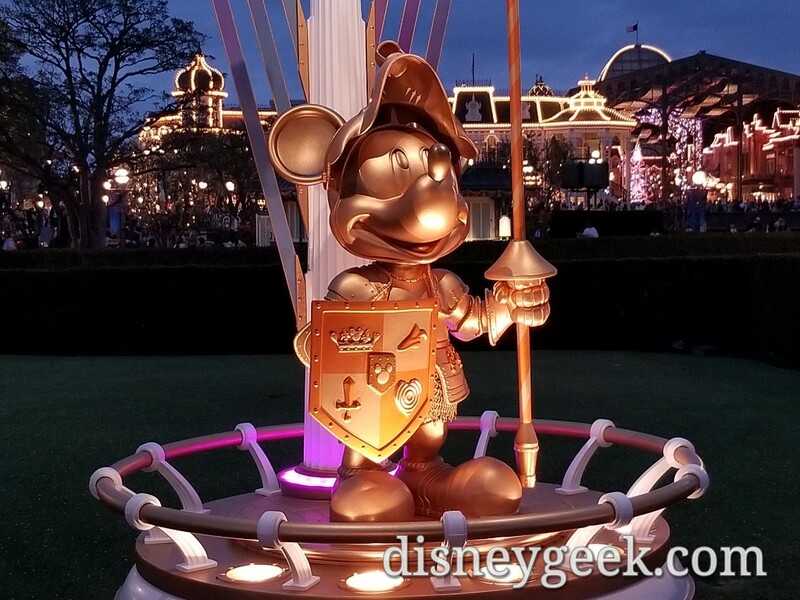 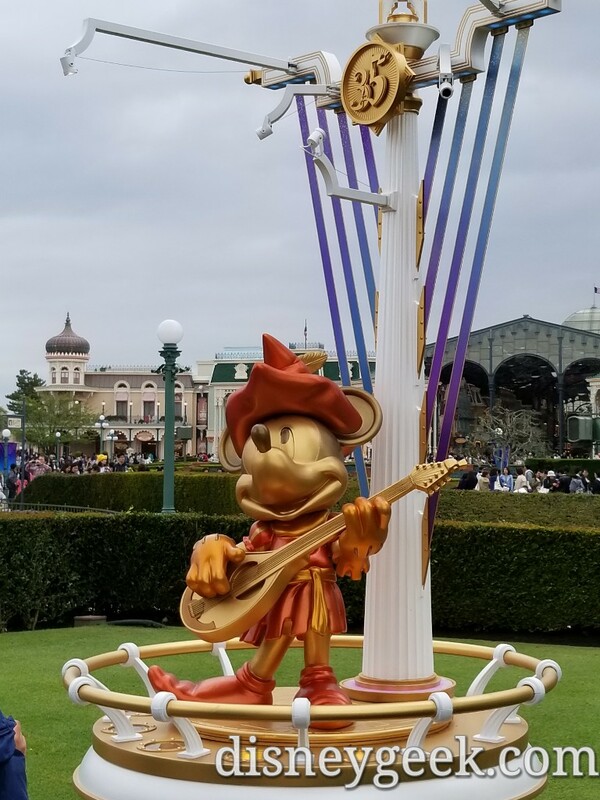 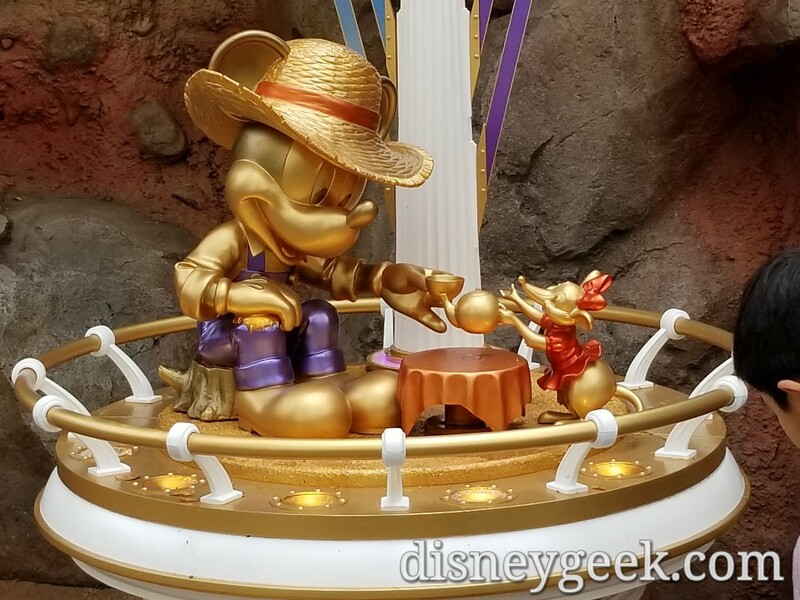 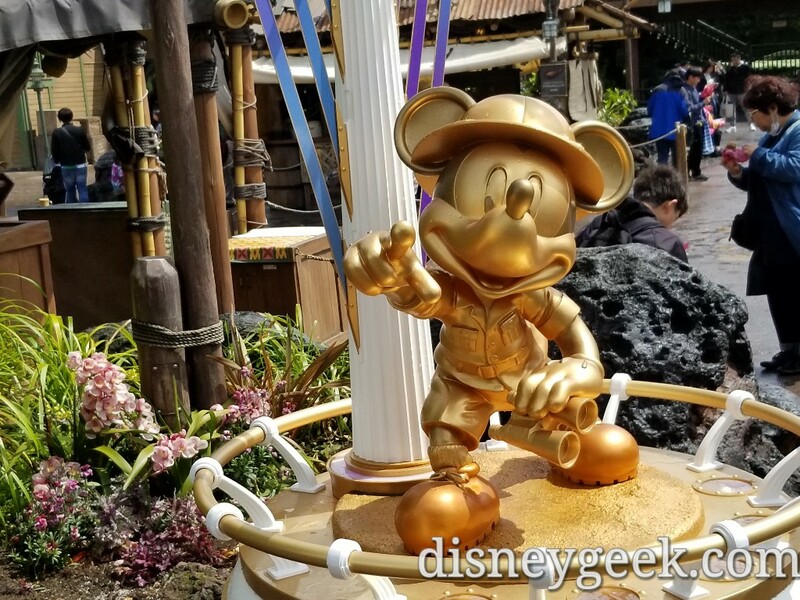 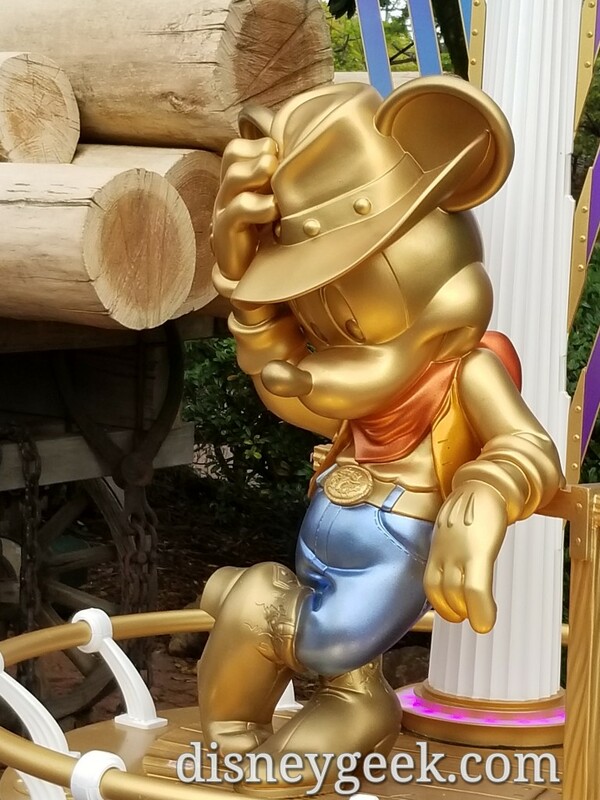 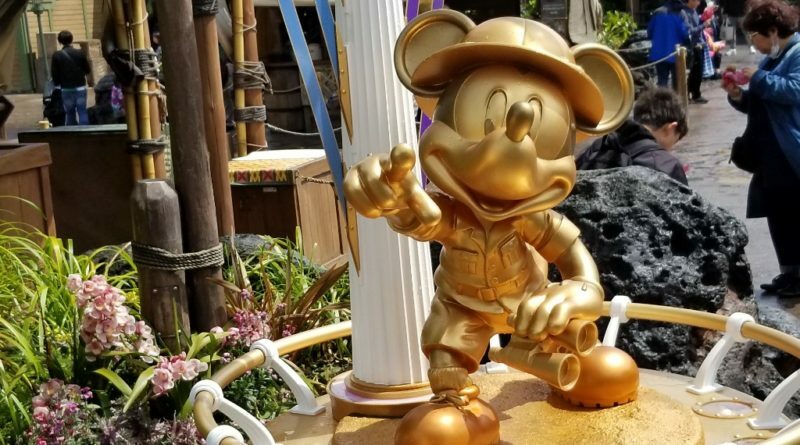 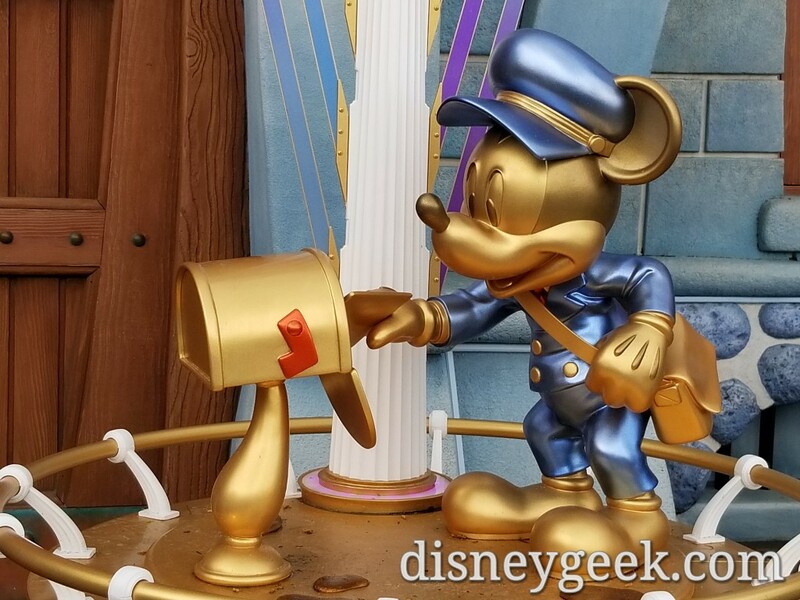 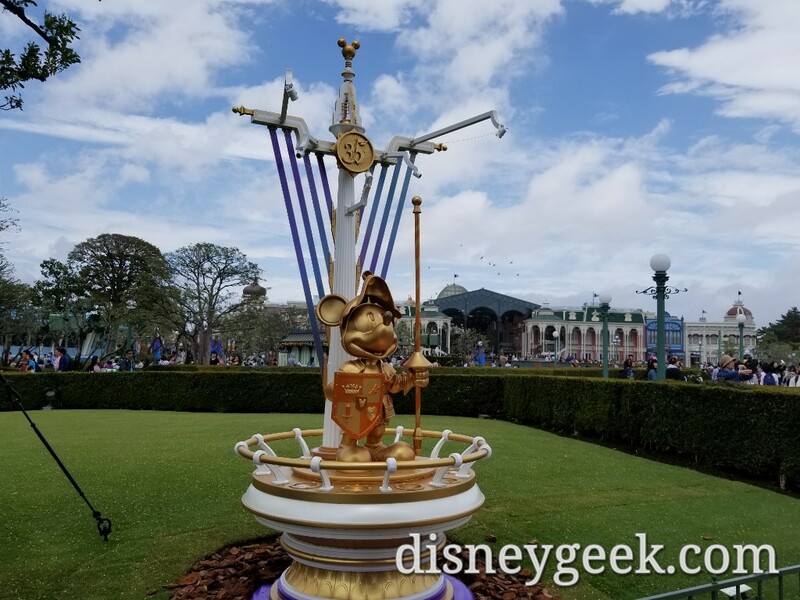 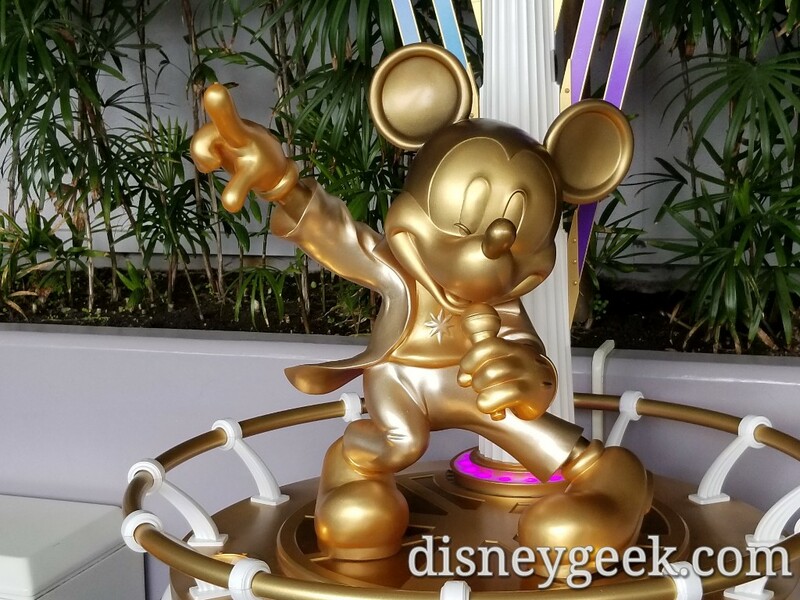 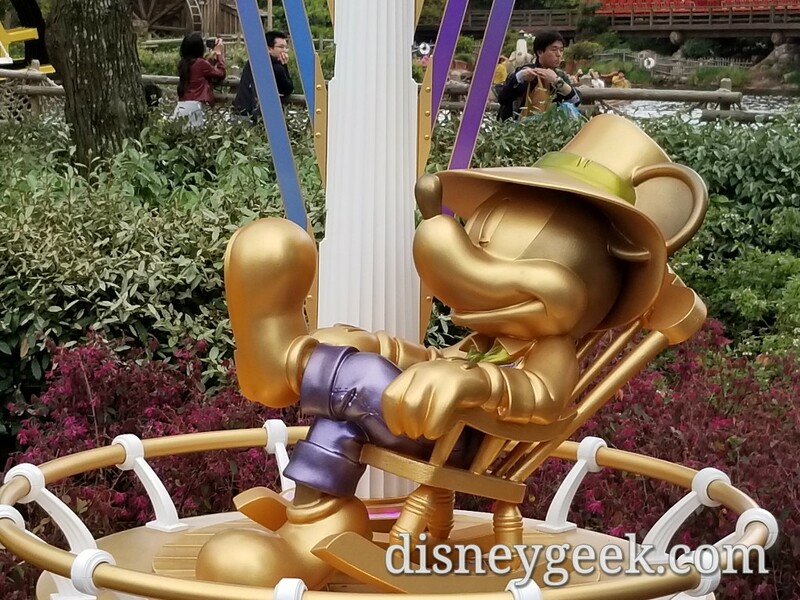 To celebrate the 35th Anniversary of Tokyo Disneyland there are gold Mickey Statues throughout the parks. 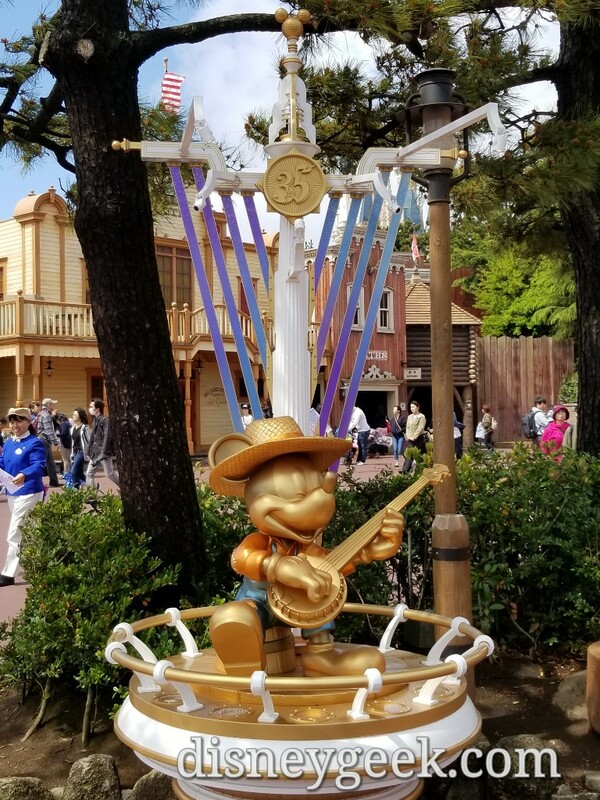 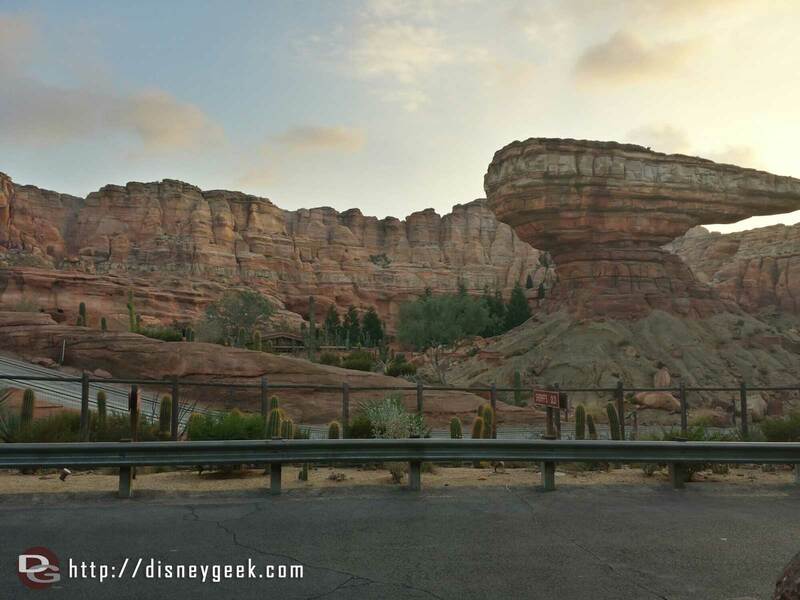 Here are some I spotted today at Tokyo Disneyland. 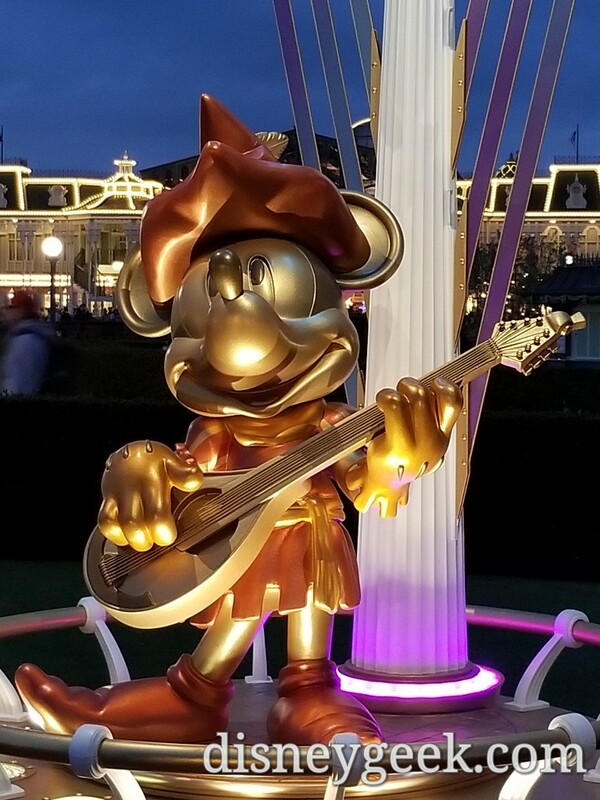 They are also lit at night. 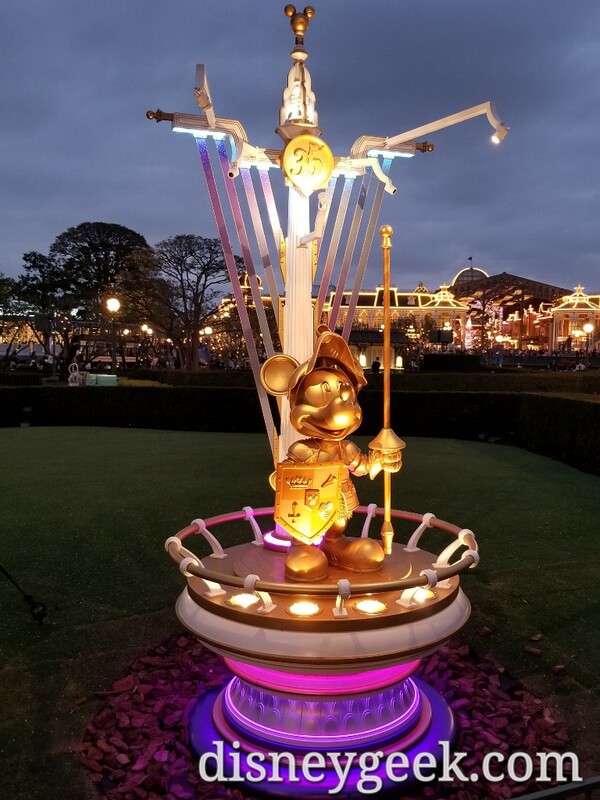 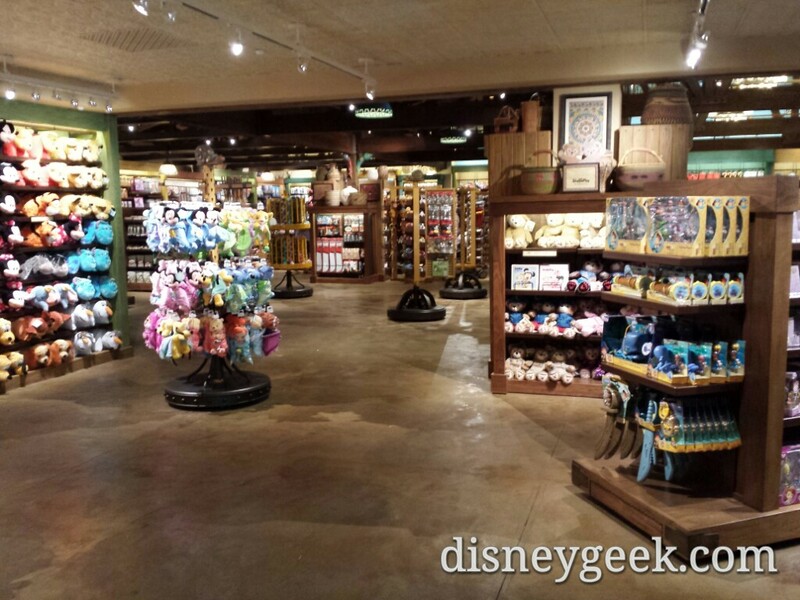 Here is one of the Central Plaza ones at night.